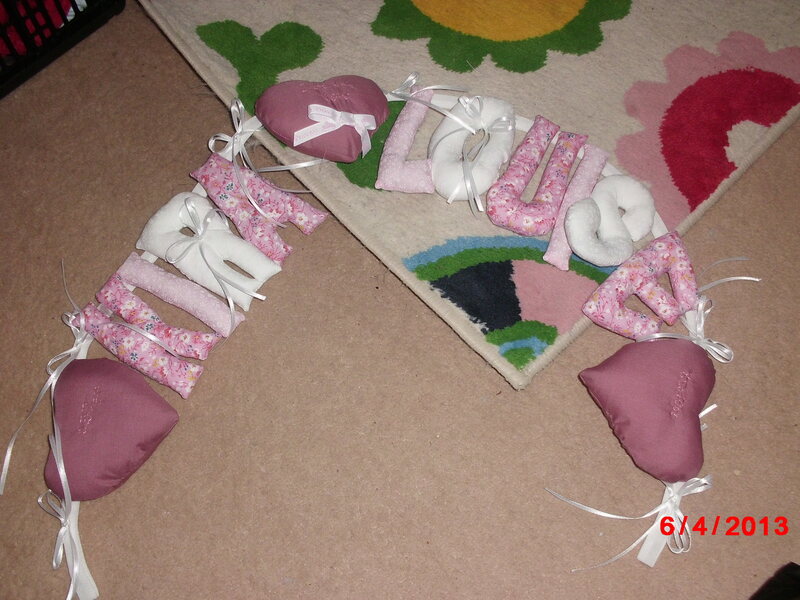 This is a great project for scraps as long as your not fussy about it matching 🙂 This is more just a few tips on how to do your own string of letters. I started by printing off the letters I need from my computer. If you don’t have a printer you can trace them off the screen. 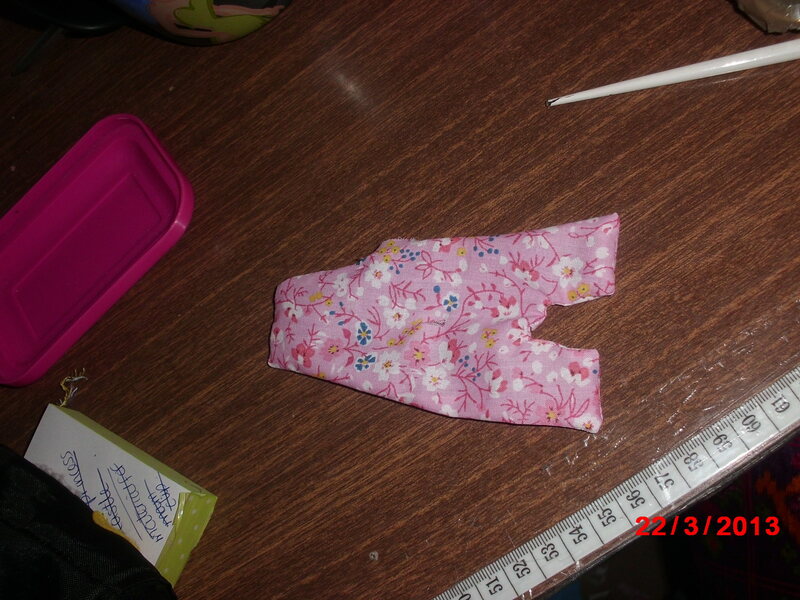 I cut mine bigger than the outline & overlaid them to the fabric. 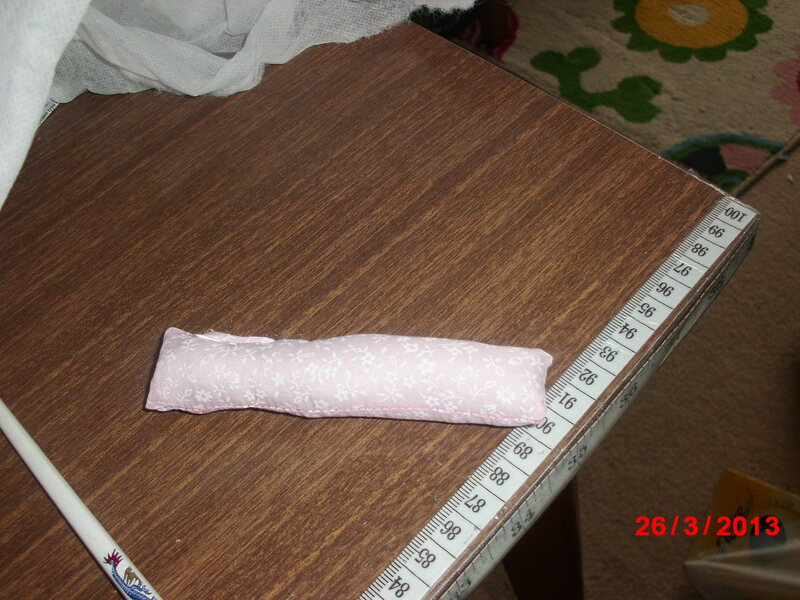 You will need 2 of each letter so best way is to fold your fabric near edge then pin. This gives you 2 of them same. 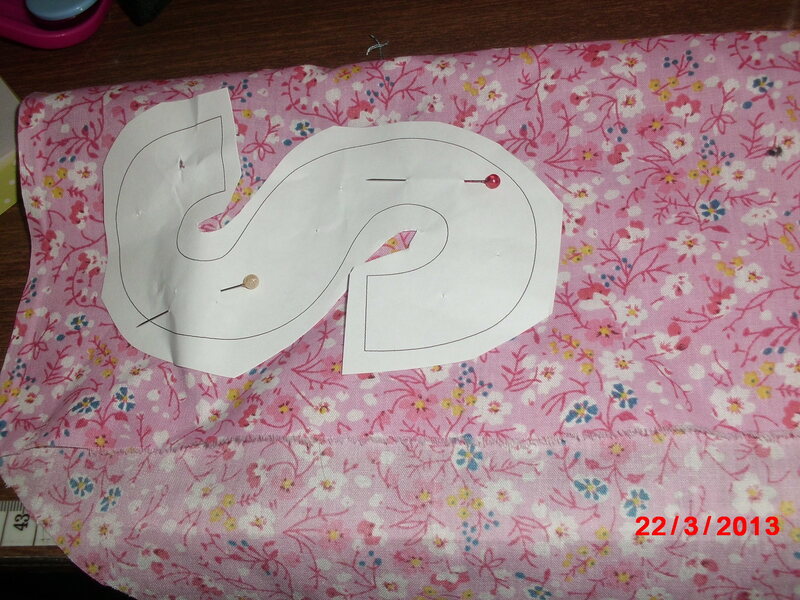 With right sides together sew your letter round outside edge. 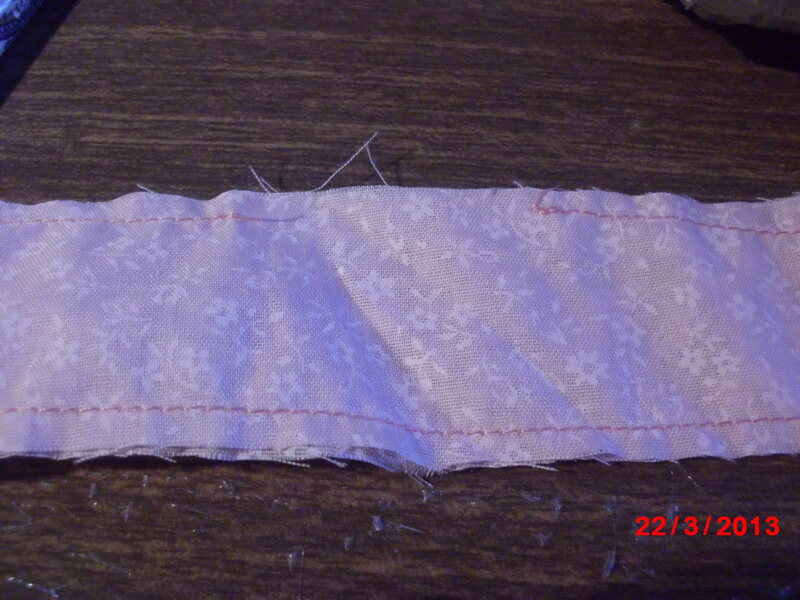 Leave a small gap along a straight edge. 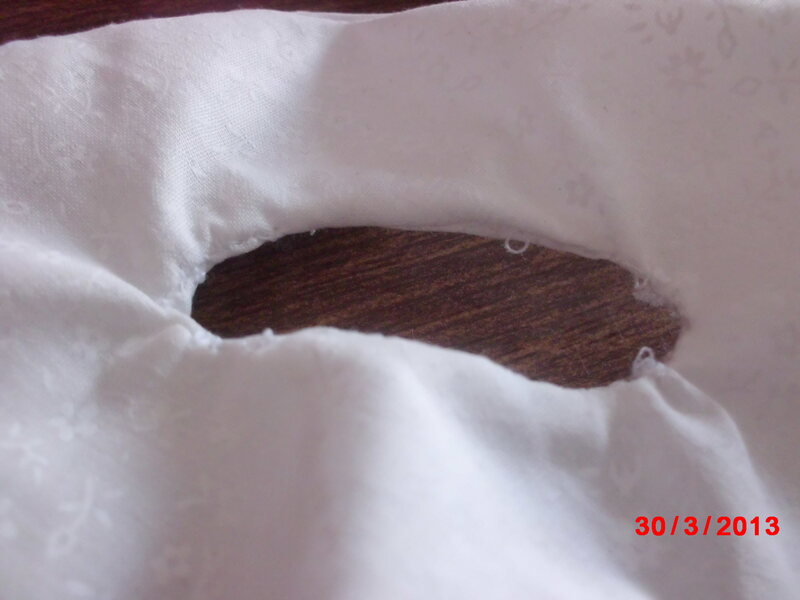 If you have a letter with a hole like A or O or R etc DON’T sew the hole yet! 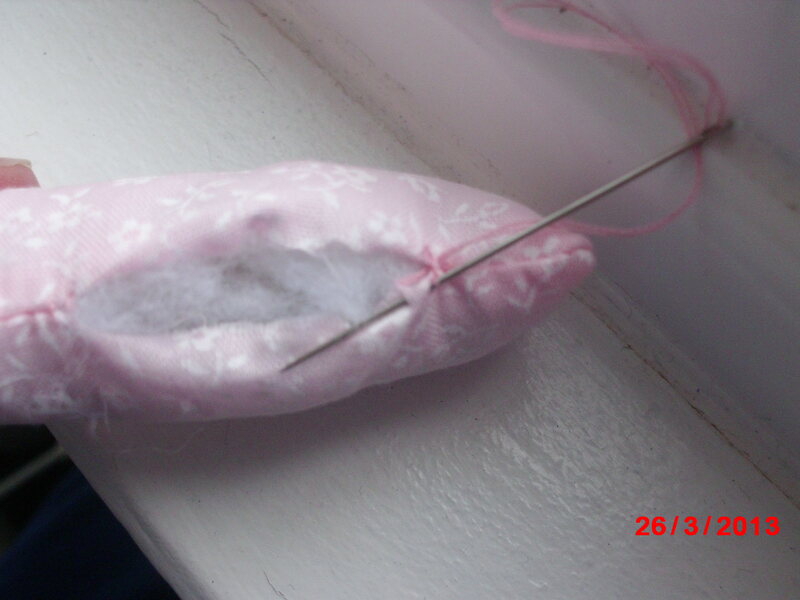 At pointed edges sew across 1 – 2 stitches. Once that’s sorted you can turn out the right way & stuff this is what your gap is for. 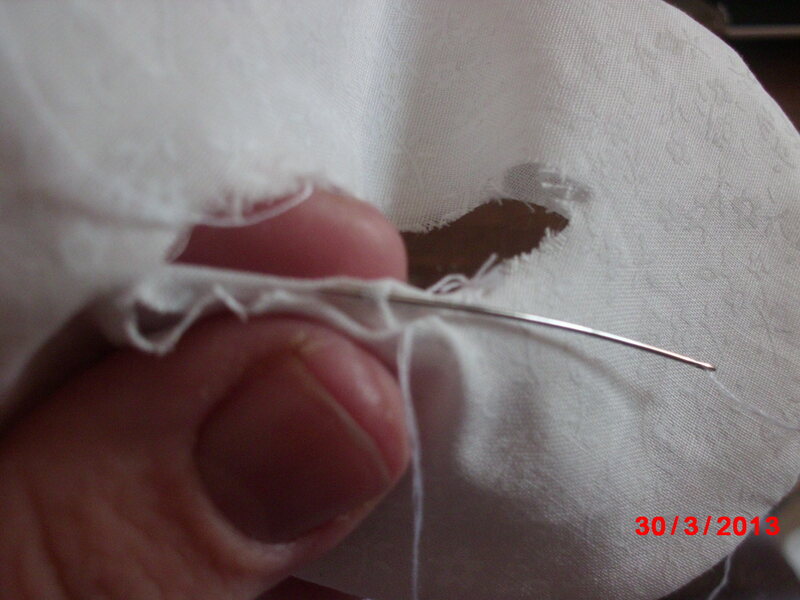 See below for hole letters Q, A, O, P, B & D.
Use blunt ended scissors or a chopstick to get your stuffing in all the corners. 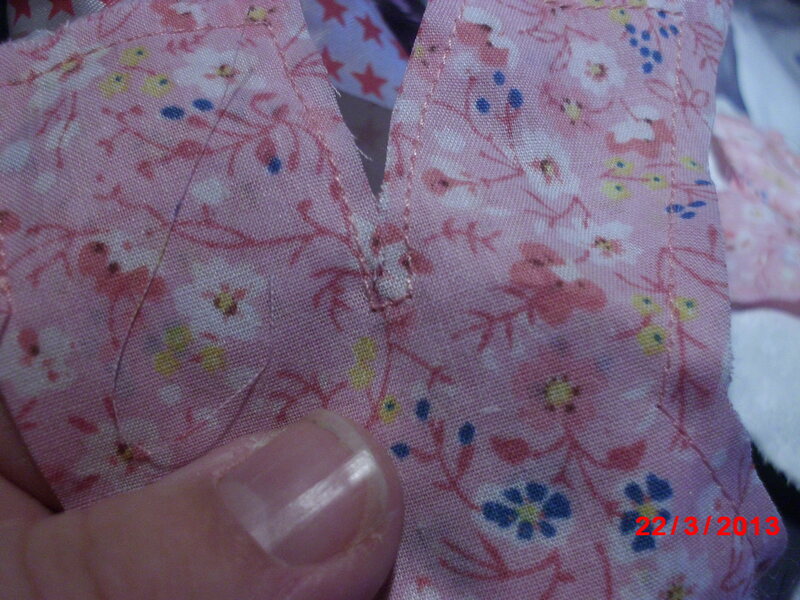 For letters like S, M & N you may need 2 gaps to effectively stuffed. 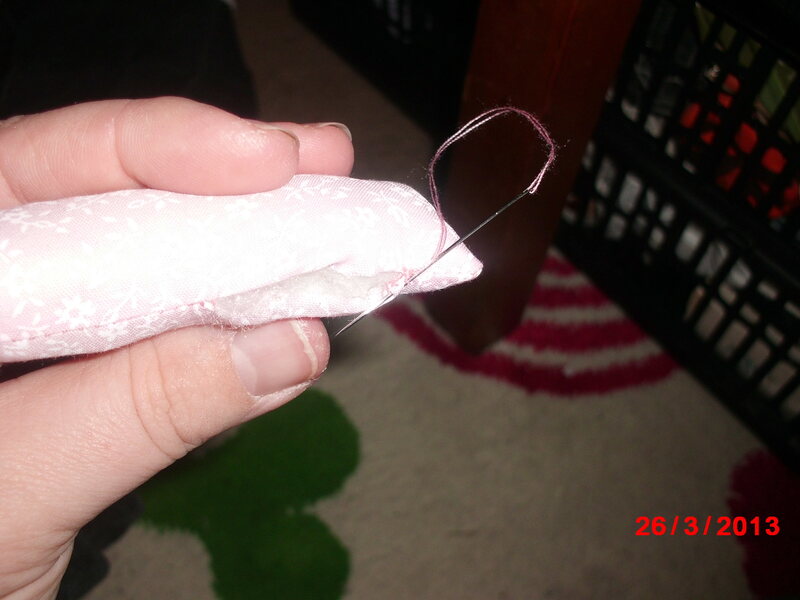 To close up the gap tuck the raw edges inside & may be useful to pin at this point. 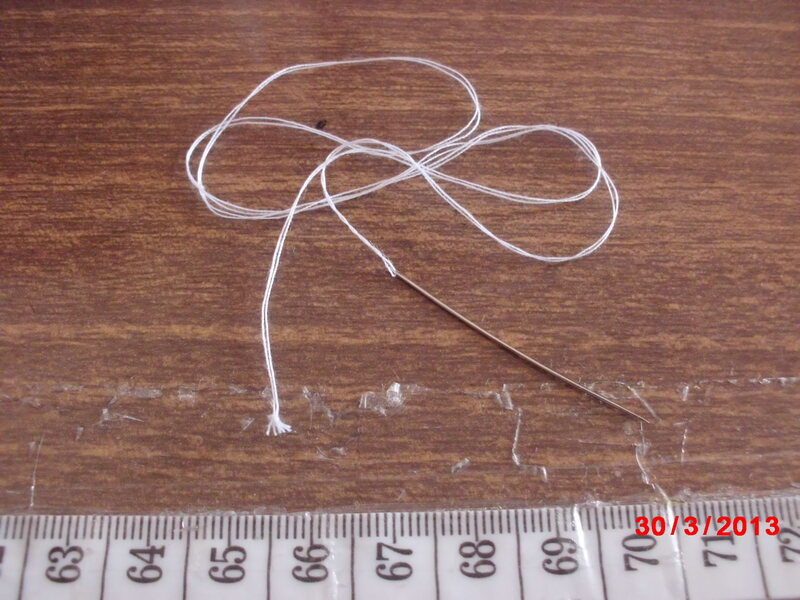 Thread a needle with matching thread & knot. 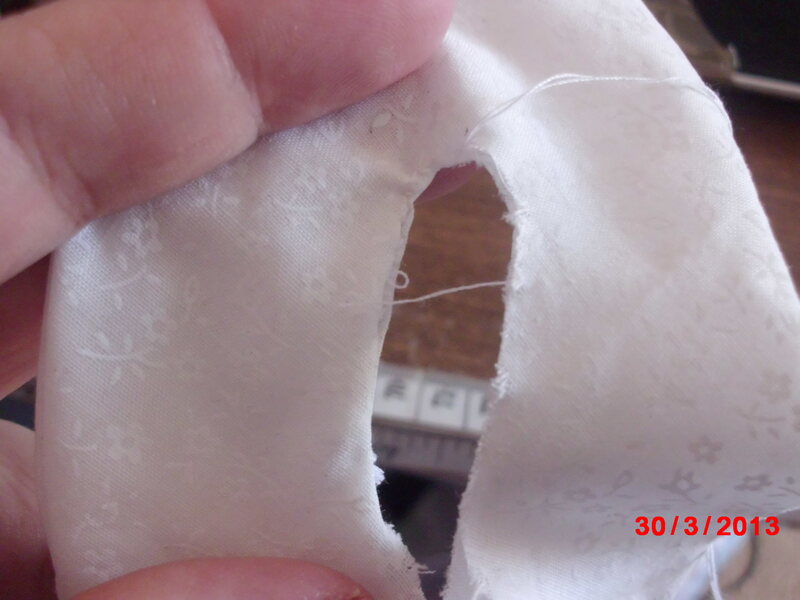 Insert from the inside to outside but still within the seam & perform a ladder stitch. Click above for a video tutorial on how to do this however the few pictures above hopefully help. 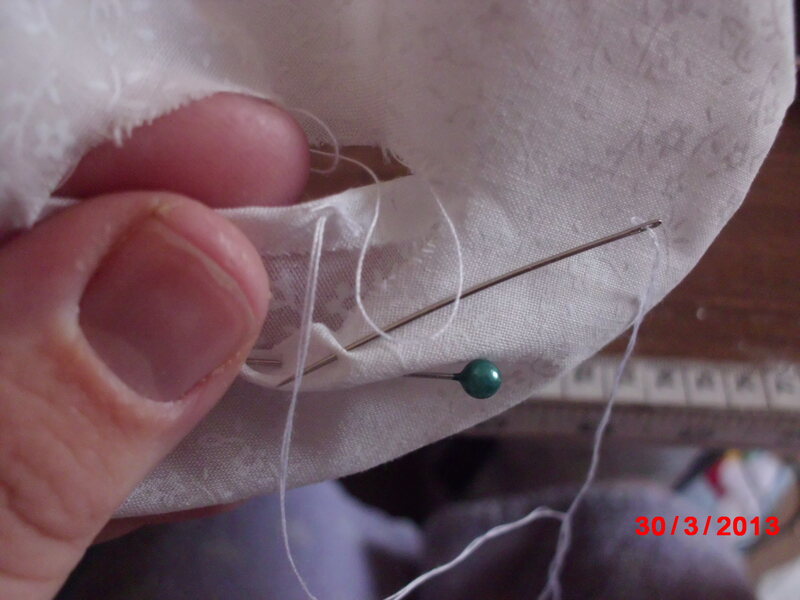 You sew from side to side creating a ladder of stitches. To close the middle of the ‘hole’ letters Q, O, P, A, D & B you will need to do by hand after turning but just before stuffing. 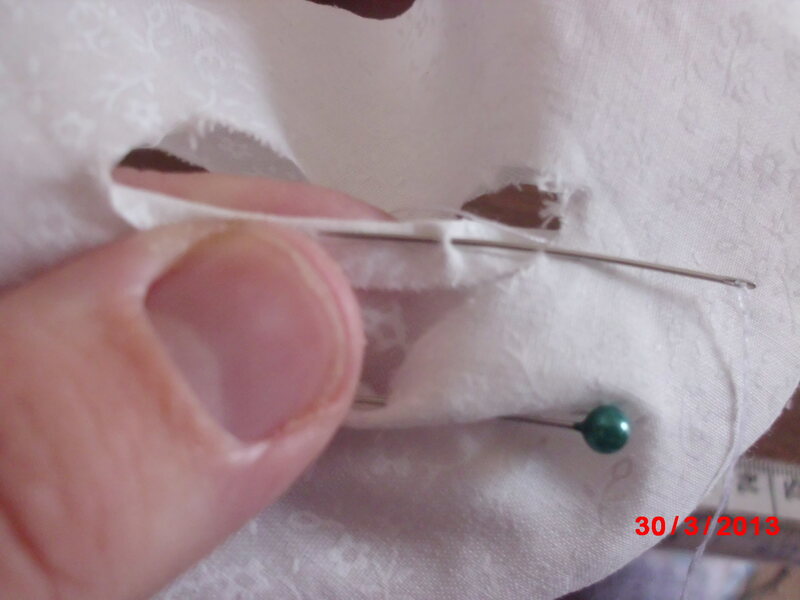 Thread a needle so is double thread & knot. 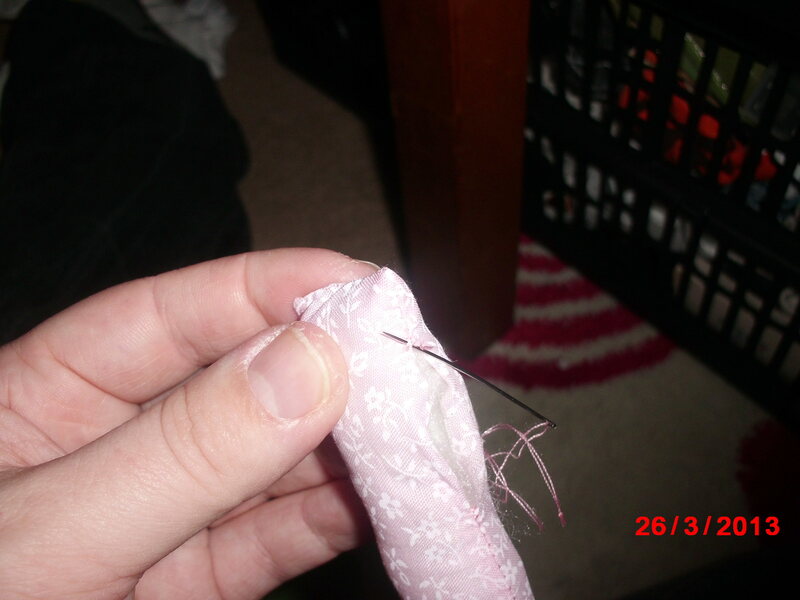 Turn under the raw edge & put needle through as shown. 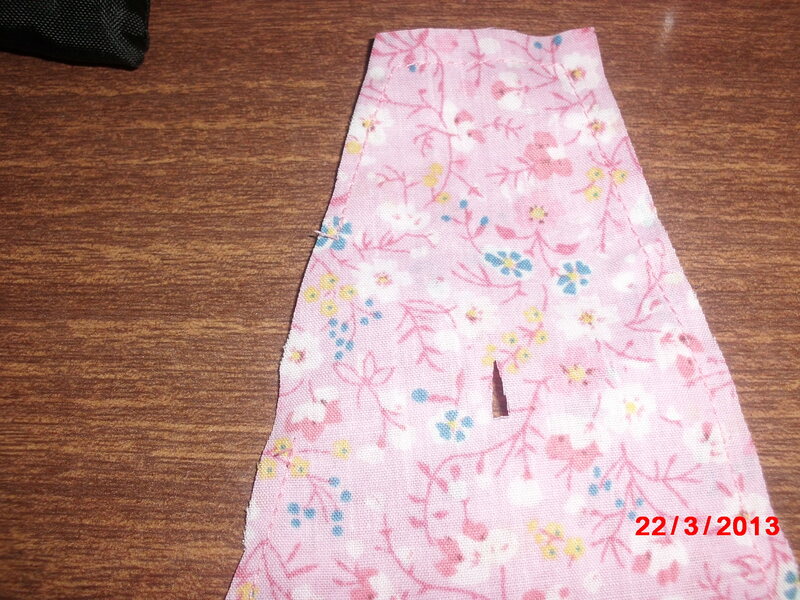 This is my finish piece mounted on folded & sewn bias then hand sewn on.